← P90X3 is here! Check out the December deals and savings…. I just finished up the Avon Walk for Breast Cancer last weekend! I did the full 39.3 miles over the course of two days. While it’s a wonderful cause and I enjoy doing it every year (this year was my fifth), the training for it is VERY time consuming and tedious. Walking can be a great calorie burn but it’s sooooo loooooonggggg. It leaves next to no other time for anything else. I miss my running, my lifting…my everything, really! This week I restarted phase 1 of P90x3 AGAIN…I’ve been taken out of it three times already: once to train for the half marathon I ran in February (especially when I got posterior tibial tendonitis–ouch! ), a second time when I fell and sprained my wrist, and then the third when I had to train for the Avon Walk. So to keep me on track AND not to get bored, I’ve been tacking on other workouts such as Les Mills Pump and a brand new one I’m giving a try, Body Beast! I am also running about 3-4 days a week in addition to other forms of cardio. The key is to get me to recovery week and phase two of P90X3 and follow that schedule more closely than I am for my umpteenth time doing phase 1 of P90X3. Body Beast Build Chest & Tris is NO easy task. I am still sore in my pecs from the workout! Les Mills Pump is also a ton of fun and is helping to strengthen me to better tackle Body Beast. The rest is P90X3 Total Synergistics, X3 Yoga, etc. I plan to blog more often about what I’m doing and how I’m handling the workouts, as I miss checking in and babbling about it. 🙂 I also plan to review all of the programs and let people know what I think about each of the workouts. 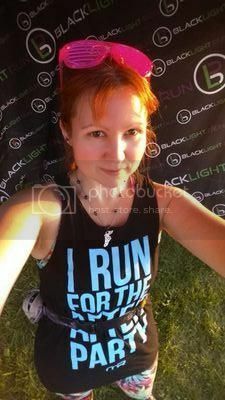 Posted on May 24, 2014, in Avon Walk, Body Beast, Les Mills Pump, P90X3, Running and tagged Beachbody, exercise, fitness, food, workouts. Bookmark the permalink. 607Leave a Commenthttp%3A%2F%2Fwww.teaaddictedgeek.com%2F%3Fp%3D607After+the+Avon+Walk+comes+the+workouts2014-05-24+19%3A43%3A37Andrea+Bermanhttp%3A%2F%2Fwww.teaaddictedgeek.com%2F%3Fp%3D607.